Steve Davies was a hard-tackling straight-running centre who played 67 games for Gloucester between 1945 and 1950. He had first played for Gloucester United before WWII and also played regularly for London Welsh in 1938-39. He won 5 caps for Gloucestershire, including the 1946-47 County Championship semi-final, final and final replay and played for Western Counties against the 1947-48 Australians. Stephen Hugh Davies was born in 1915 in Leeds. His brother Neal, who was born in Hackney five years later, also played four games for Gloucester 1st XV. Steve joined Fielding and Platt in Gloucester as an engineering apprentice in 1932 and played his early rugby for the Atlas Works XV. He played in the North Gloucestershire Combination team in 1935-36 and gained a place in the Gloucester United XV the same season. Davies left Gloucester later in 1936 and, joining London Welsh, played regularly for the London Welsh 1st XV in 1938-39. During his war service he played for Bournemouth RFC and captained the club in 1940-41-42-43-44. 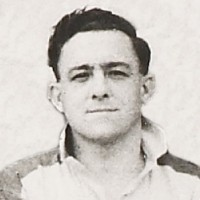 Despite his successful debut, Davies was initially regarded as a United player at the start of the 1946-47 season and Rupert Cherry, commenting on his captaincy of Gloucester United in the Citizen, described him as “a straight running level-headed player who will be a great help to younger men in the side.” However, he regained his 1st XV place in November and took part in a number of outstanding performances by the Gloucester backs, which brought him to the attention of the county selectors. Steve Davies was selected for his Gloucestershire debut in the County Championship semi-final against Middlesex at Twickenham, a match that was finally played on 1 March after two postponements. Gloucestershire won 24-17 and he retained his place for the final against Lancashire at Blundellsands. After an 8-8 draw, he also took part in the replayed final at Kingsholm, which was lost 8-0. 1947-48 was his most successful season. He played 28 games for Gloucester, taking a prominent part in a side that equalled the highest number of wins in the club’s history. He also appeared twice more for Gloucestershire and on 20 September 1947 he was chosen to replace the injured Ken Daniell in the centre for Western Counties against the touring Australians at Kingsholm. Aged 33, he stepped down in 1948-49 to become Gloucester United captain. He was described in the Citizen as “energetic and conscientious” and “one of the best captains the second string has ever had.” He still made 6 first team appearances, however, and featured on the end of season South West tour. A second season as United captain followed and five more 1st XV appearances, his final match for the first team being against Stroud on 30 March 1950 at Kingsholm. He made one last South West tour with the club, but was unable to play, due to an ankle injury. After retirement as a player, Davies was immediately elected to the Gloucester committee. He became a selector in 1955, the year that he also joined the county committee. He regularly turned out as a touch judge in Gloucester games. Steve Davies continued to work for Fielding and Platt and became Assistant to the Technical Director in 1960. On 9 August that year, while on holiday with his family at Porthtowan in Cornwall, he was drowned attempting to rescue his brother-in-law from the sea. He was 45.